All of our models are now available in Left-Hand and the Primera is no exception. This particular guitar is the first LH Primera, not just out of this shop – but ever… The body is from a two-piece, slip-matched mahogany billet with a 3A/4A quilted top. 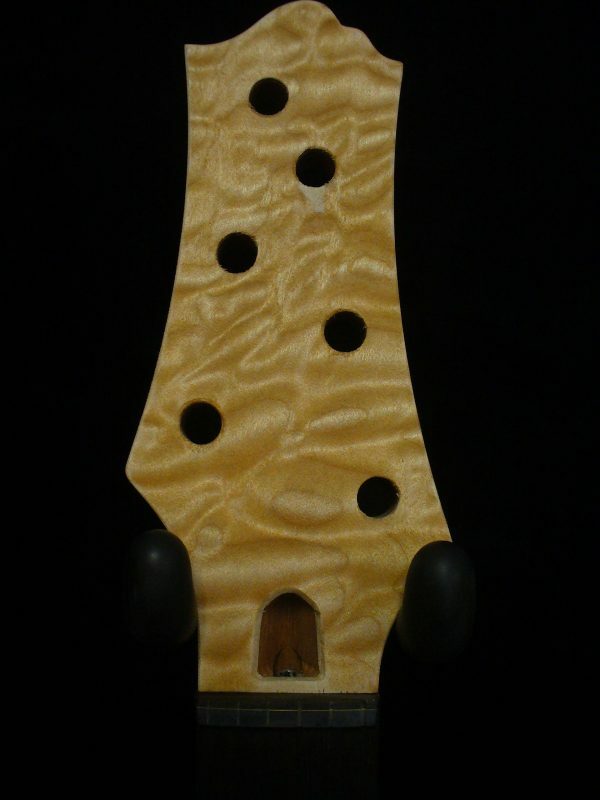 The neck is mahogany with a ebony fingerboard and Zion Crown Inlay. The nut is a bit hard to see, but it’s laminated graphite and ebony with a very thin piece of brass in between. Just a little touch that I like to throw in here and there. Very nice guitar. I’ve had strings on the guitar and it plays flawlessly. 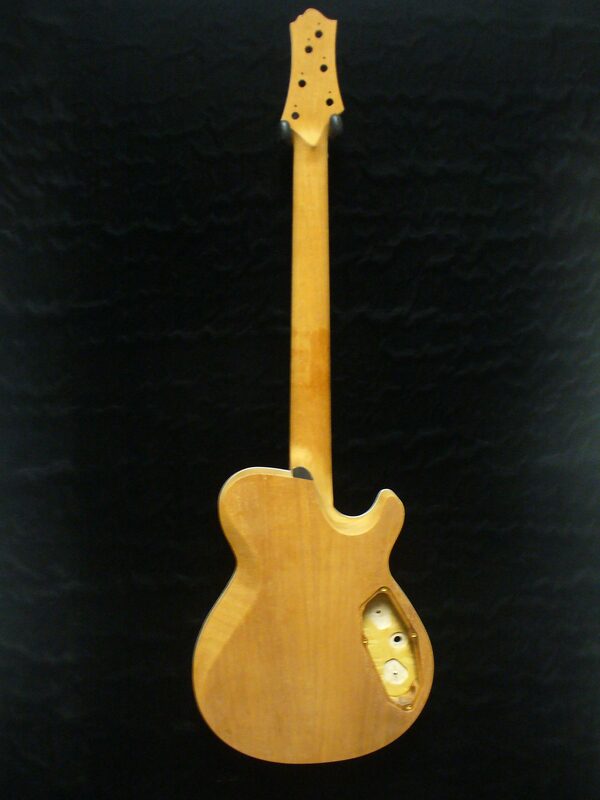 I’ve purposely not finished the guitar so as to give its new owner a chance to make it in his/her own image. 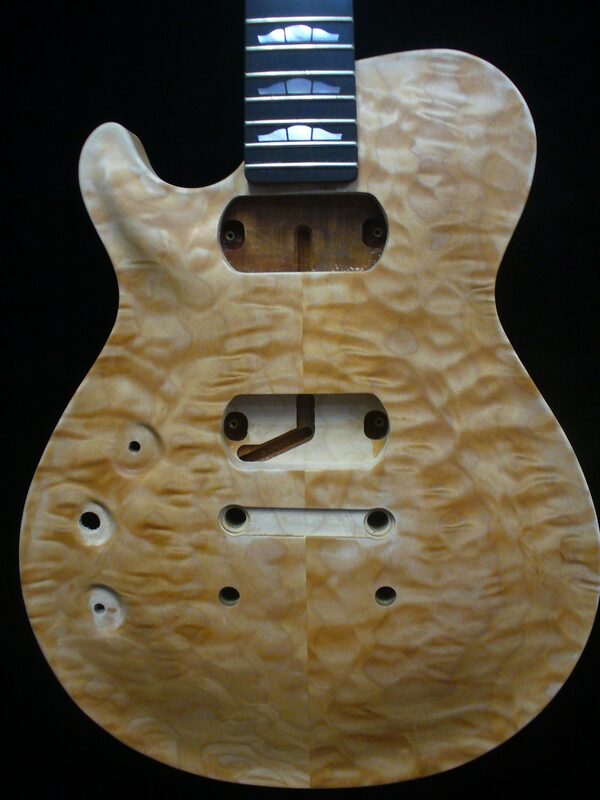 Will take 4 or 5 weeks to get finish on it, sand, buff, and assemble. 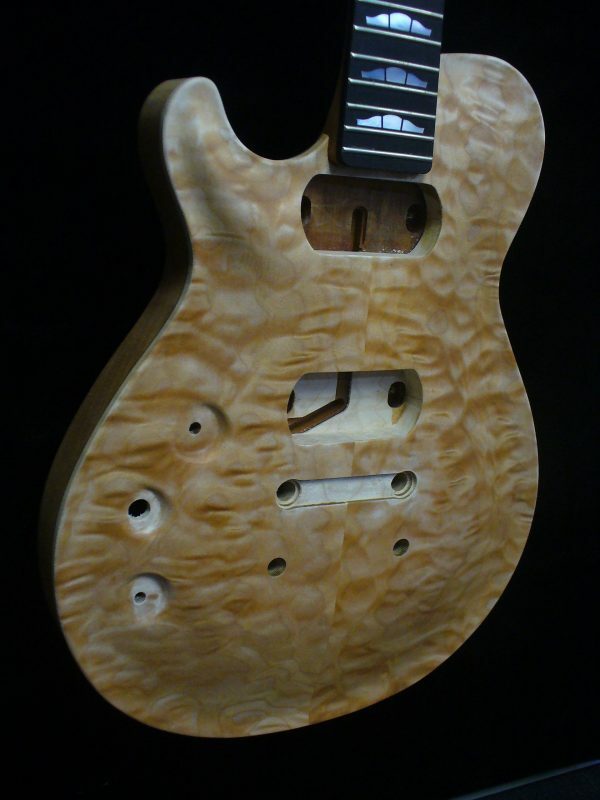 The options we can change are:- hardware color, pickups / wiring options, and finish (color, etc). 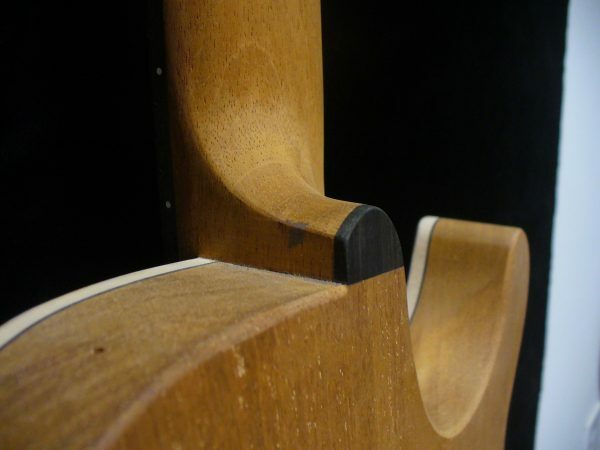 As for pickups, we’ll install any Duncan or DiMarzio stock humbers as part of the purchase price. Premium pickups may cost a bit more. Full disclosure here – there was a small amount of tear-out in the neck, just above the neck joint. The filler didn’t quite work as advertised and it doesn’t fully match the surrounding mahogany. Doesn’t hurt a thing, is just a little unsightly. You can see it in the picture of the neck joint. Again, just full-disclosure. I’ve dropped the price a bit to account for it.